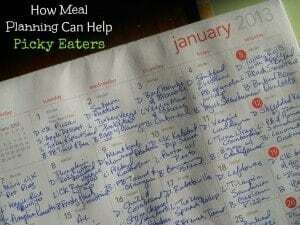 How Meal Planning Can Help Picky Eaters: Guest Post at Super Healthy Kids! 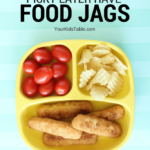 Many of you following along here at Your Kid’s Table or on our Facebook page know that I love meal plans. Wonder how it might help a picky eater or problem feeder in your life? Well, I got the scoop on that over at Super Healthy Kids today. 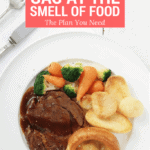 I am thrilled to be guest posting there, as many of you know it is an amazing site full of wonderful resources related to healthy eating for the whole family. Don’t be shy when you hop over, leave me a comment and let me know what you think! How Meal Planning Can Help Picky Eaters! I’d love some recipes for some of the ideas I saw. I’m thinking more simple recipes would work for picky kids…my son is 12 and won’t eat much more than chicken fingers/nuggets or some version of grilled cheese…and I’m trying to help him from gaining more weight. He’s a sugar maniac. Thanks! If you use the search bar you can find a bunch of recipes, just type in the word. One you’ll probably like is homemade hot pockets, it’s adaptable and you could start out with just cheese and then add in chicken and other foods over time. Just wanted to thank you for a great blog. As an OT, I understand feeding is such a complicated thing and if I feel that, I can just imagine how it is to the “lay” parent. Love how accessible this site is. Will definitely be recommending this to my parents! Thank you so much, Amalia- that means a lot coming from another OT! I will have an article index going up in the next week or two, which should help with navigating the site.